AMMONNEWS - Opening its doors to a rejuvenating tranquility for the body and soul, Zara Spa at Mövenpick Resort & Spa Tala Bay Aqaba welcomes visitors to dive deep into their senses for a worry-free spa experience. Providing the ideal escape from the winter months, the award-winning Zara Spa Tala Bay transports guests to a holistic journey away from the stress of the bustling city life. It has everything a guest could require whether they are looking to rebalance their spirits, reinvigorate their bodies or simply enjoy an indulgent beauty treatment. Zara Spa’s state-of-the-art facilities including 11 treatment rooms, a solar powered hydro pool, sauna, ice fountain and a honeymoon wing are all set to boost wellness and therapeutic benefits. 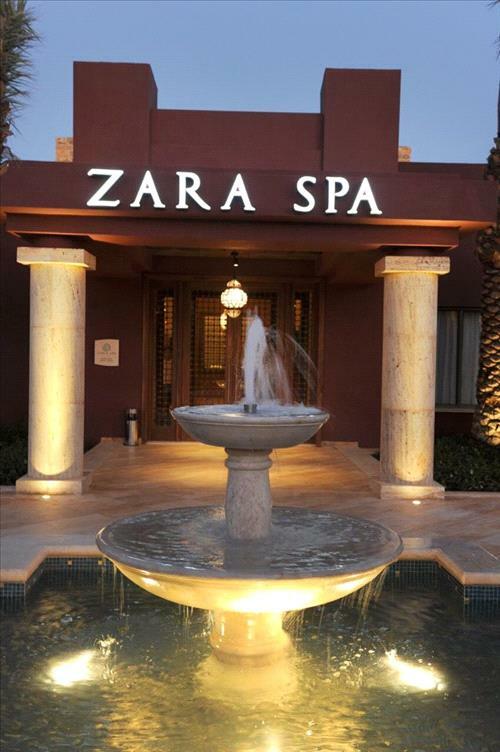 The ZARA Spa experience does not end there; it inspires the senses to extend through the beauty salon, nail studio, steam room and a gift shop offering all-natural and high-end spa products. Zara Spa at Mövenpick Resort & Spa Tala Bay Aqaba calming surroundings, promises a spiritual journey of relaxation away from reality.